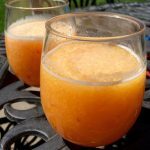 A Mimosa, the perfect addition to every brunch, breakfast in bed and Mother’s Day (or future mother!) celebration! 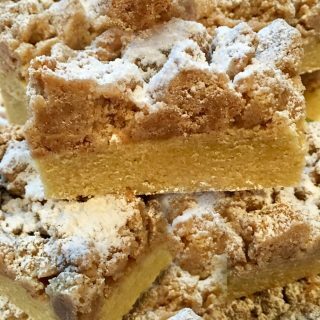 With Mother’s Day quickly approaching I thought it would be the best time to share my Mama-Mosa Bar with you. You see, grandbaby #8 is scheduled to arrive any day now and so we recently had a baby shower for my daughter-in-law Leigh. 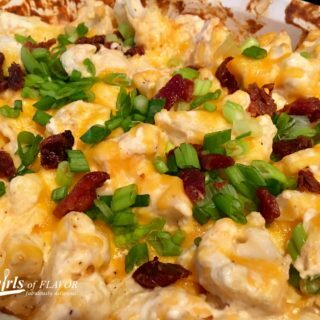 Wanting to make the day extra special we began searching our best friend, Pinterest, for ideas. 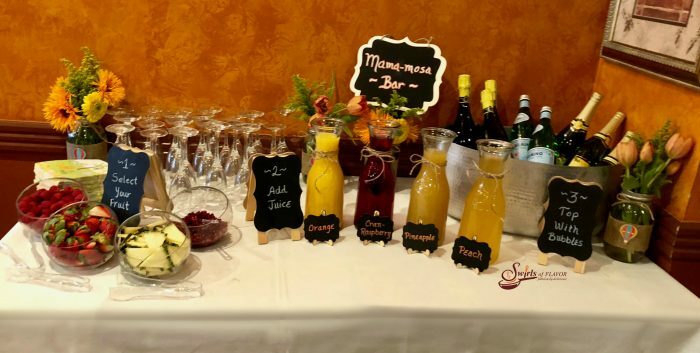 The Mom-Mosa Bar kept popping up everywhere for Mother’s Day. Great idea for sure. Let’s go with it! 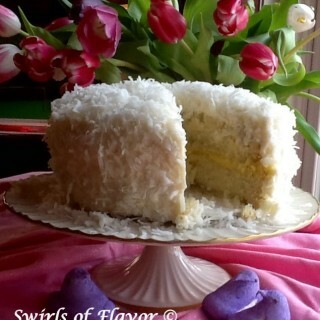 But I decided to call it a “Mama”-Mosa Bar because this time it’s all about our mama-to-be! 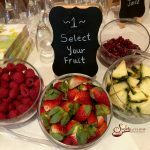 We started out with a selection of fresh fruits and these bowls for fruit will dress up your table! 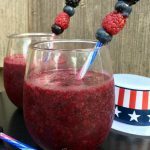 I actually used clear glass terrarium bowls for the fruit that are angled at the top and make such a pretty presentation. 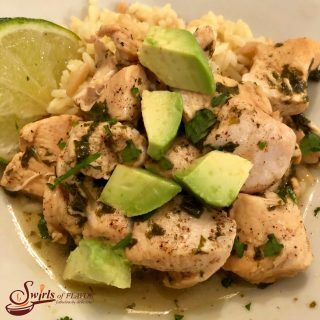 Select fresh fruit that compliments the fruit juices you plan to serve. Next we added an assortment of juices to pair with our fresh fruit. 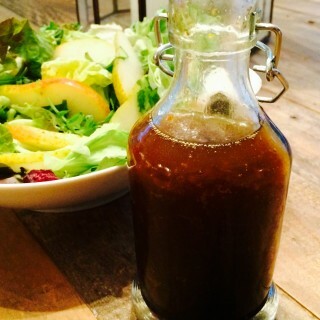 there are so many combinations of fruit juices to choose from these days so just let your taste buds go wild! 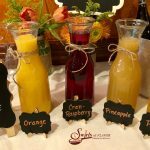 The fruit punches look so pretty in these carafes, I used mini blackboard signs and stands for fruits and juice flavors, larger blackboard signs for instructions and a bigger blackboard sign for the “Mama-Mosa Bar” sign. I like using white liquid chalk but adding accent colors to make it more colorful with multi-colored liquid chalk or assorted colors of blackboard chalk. 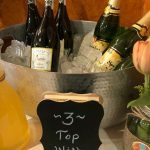 Top off your glass with some bubbly Prosecco or, for the soon-to-be mama, sparkling juice or Pellegrino and say Cheers! Add an acrylic tub or hammered steel tub filled with ice for the “bubbly” and you’re all set! 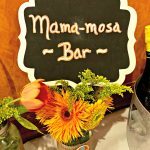 Our Mama-Mosa Bar was the hit of the baby shower, second to my daughter-in-law Leigh, a glowing mama-to-be! We showered her with gifts for my new grandbaby and the room was filled with lots of love for my son Bryan, Leigh, and baby Mueller, their greatest adventure yet! 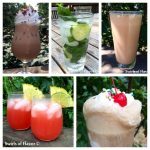 If you love the thought of having a drink bar, here are some drinks and cocktails that you can turn into a customized drink bar just like the Mama-Mosa Bar by offering a variety of choices of fresh fruits, juices, sodas and even flavored liquors! 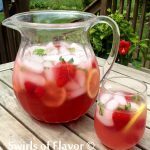 Berry Pink Lemonade Prosecco Punch, Peachy Plum Sangria, Pomegranate Mojito and Raspberry Basil Lemonade are the perfect recipes to personalize! A Mimosa, the perfect addition to every brunch, breakfast in bed and Mother's Day (or future mother!) celebration! 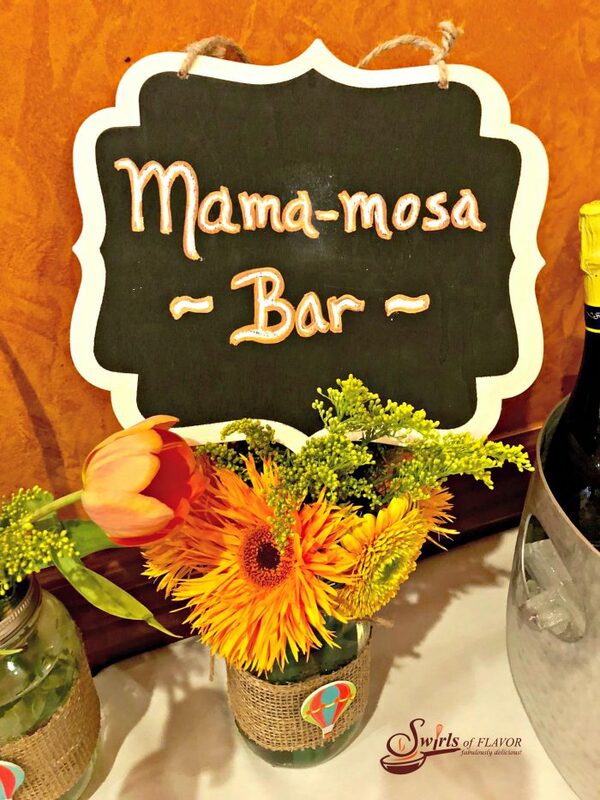 Our Mama-Mosa Bar is especially designed for a baby shower for our mama-to-be! 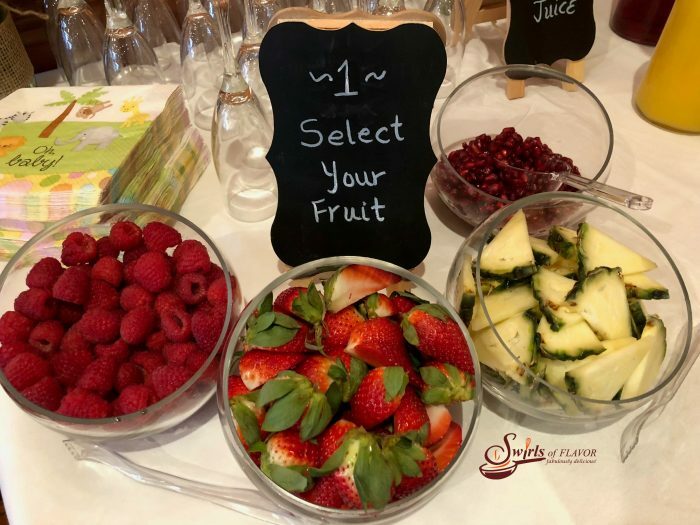 Arrange bowls of fruit and place "Select Your Fruit" sign with your assortment of fresh fruit. 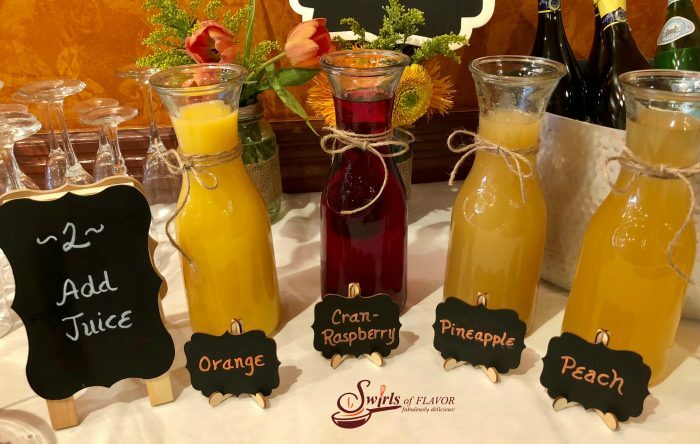 Fill carafes with juices, label mini blackboard signs with flavors of juices you selected and place "Add Juice" sign with carafes. Place chilled Prosecco, sparkling juice and/or Pellegrino in tub filled with ice. 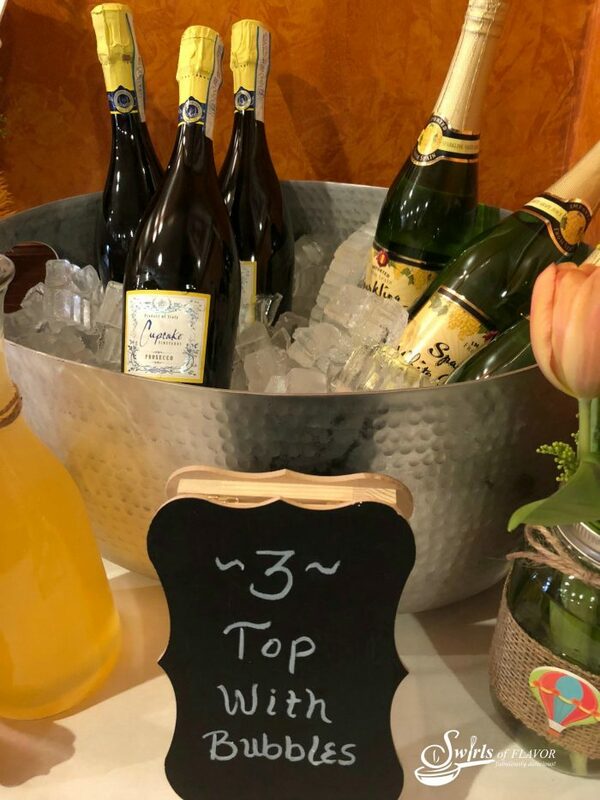 Add "Top With Bubbly" sign with your bottles of bubbly. 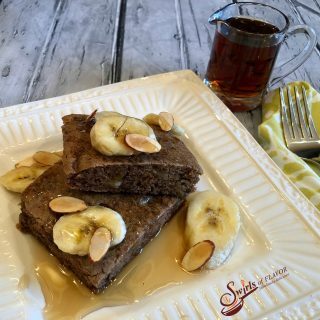 You can add as many fresh fruits and juices as your heart desires! Amounts above are approximate so feel free to increase the bottles of bubbly!